Only companies that meet the highest technical, quality and business standards are appointed as approved repairers of Fisher products for workshop-based repairs. Each company is subject to a stringent vetting process and a quality audit. As part of the scheme, technical personnel from Controlled Repair have completed specialised Fisher valve maintenance training. All repairs will be completed to factory specifications using only genuine Fisher parts. As an approved repairer of Fisher products for workshop-based repairs, engineers from Controlled Repair have access to original Fisher factory specifications, maintenance instructions and service reference manuals, ensuring that repairs are completed to the highest standards. The company is quality accredited to ISO 9001 demonstrating its commitment to customer satisfaction. 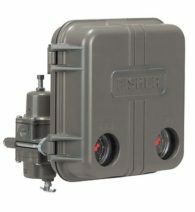 For further information on Fisher products please visit their website for Fisher Controls or Fisher Regulators. Controlled Repair Instruments Ltd are the only Fisher Approved Service Partner (FASP) in the South and South East Regions of the UK. 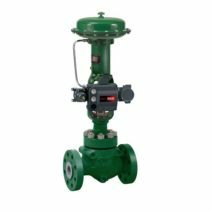 Available as ET, ED, EZ and ES models – Fisher’s Easy-e control valve is found in every industry where fluid flow must be controlled, providing users with improved process performance and reliability. Whether the application involves refining, oil and gas production, power generation, paper manufacturing, or chemical processing, you will find the easy-e hard at work. It is offered in a broad range of body styles and end connections, in sizes ½” thru 36″. You can easily select the configuration that best meets your process requirements. With interchangeable parts, inventory costs can be kept to a minimum. The easy-e control valve gives you a high return. 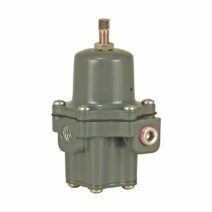 Available as HPT, HPD, HPS and HPA models – Fisher HP Series control valves are single-port, high-pressure, globe- or angle-style valves with metal seats, cage guides, and push-down-to-close valve plug action. These valves are designed for high-pressure applications in process control industries such as power generation, hydrocarbon production, chemical processing, and refining. 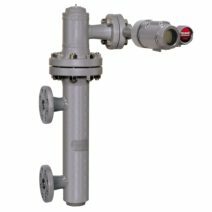 Fisher® GX is a compact, state-of-the-art control valve and actuator system, designed to control a wide range of process liquids, gases, and vapors. It is designed to meet the requirements of both EN and ASME standards. Valve body sizes DN 15 to DN 100 (NPS 1/2 through 4) and pressure classes PN 10-40 CL150 and 300. Shutoff capabilities of Class IV, V and VI. It is available with a complete accessory package, including the FIELDVUE™ series digital valve controller and optional metal bellows seal. Fisher® RSS lined globe valve has pure-modified PTFE trim parts, positive shutoff and push-down-to-close action. PTFE bellows seal. NPS 1/2 to 4 CL150 or 300. 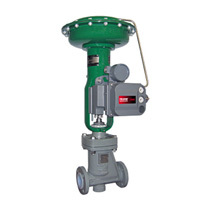 This valve is intended for use in applications involving corrosive and toxic flowing media. 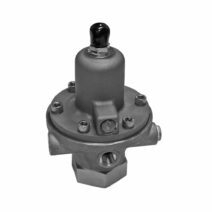 Fisher® YD and YS three-way cage-guided valves are designed for throttling or flow-switching (on-off) service. The YD balanced valves are for general converging (flow-mixing) and diverging (flow-splitting) service. They are available in standard and high-temperature versions. The YS unbalanced valves are for general converging service. 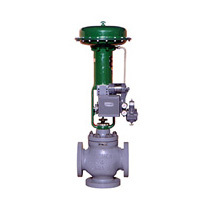 When used in diverging service, YS valves are recommended for on-off applications only. Fisher® CV500 is a flanged or flangeless eccentric plug valve with splined shaft, streamlined flow passages and a reversible metal seat ring. The CV500 is available in NPS 3 through 12 (DN 80 through 300) , CL150/300/600 (PN 10 through PN 100). The CV500 combines the range of the cammed-segmented V-notched ball, with the ruggedness found in the V500 heavy duty bearings, body and seals. 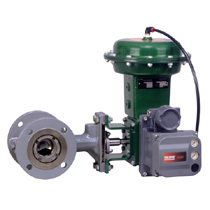 Fisher® V500 is a flanged or flangeless eccentric plug rotary control valve featuring a self-centering seat ring, streamlined flow passages and rugged metal trim components. The V500 is available in NPS 1 through 8 (flangeless available only in NPS 3 through 8), CL150/300/600 (PN 10/100) (NPS 3 through 8), CL300 (PN25/40). 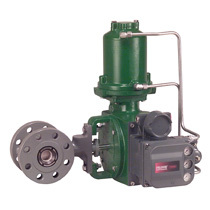 This valve is for use in heavy slurry or corrosive applications. 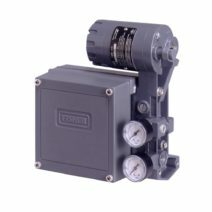 67C Series direct-operated regulators and filter regulators are typically used to provide constantly controlled, reduced pressures to pneumatic and electro-pneumatic controllers and other instruments. These are suitable for most air or gas applications. Other applications include providing reduced pressures to air chucks, air jets, and spray guns. Types 1301F and 1301G regulators are self-operated, high-pressure regulators, which can be used where high pressure gas must be reduced for use as pilot supply pressure in pilot-operated regulators or as loading pressure in pressure-loaded regulators. Types 1301F and 1301G regulators can also be used in many other applications as high-pressure reducing regulators for various gases. Type 1301F has three available outlet pressure ranges from 10-225 psig. Type 1301G has one available outlet pressure range of 200-500 psi. Originally called a Fisher 4150 Controller this had a revamp and is now called the C1 Pneumatic Controller. This Controller can come with a range of input Bourdon tubes from 0 to 30 Psi all the way to 10,000 Psi. The output can be either 3-15 Psi or 6-30 Psi. At Controlled Repair Inst. we have a range of Bourdon tubes on stock meaning we can quickly and easily provide the Controller to meet your needs with a fast delivery. 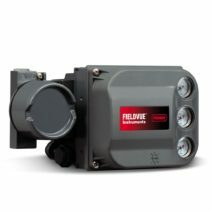 Fisher 2500 pneumatic level controllers provide rugged, dependable, and simply constructed pneumatic instrumentation for liquid level, interface level, and density service. Direct-acting pneumatic controller and transmitter. 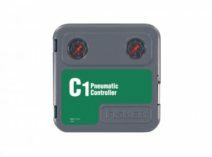 Right-hand mounted controller or transmitter for use with 249 Series displacer sensors. Increasing level or density increases output pressure. Available with 3-15psi or 6-30 psi output signal. 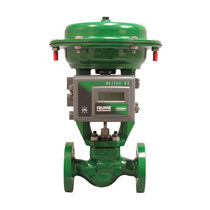 The Fisher 3582i is a field-proven positioner which is accurate, fast-responding, and able to withstand the vibrations of most plant environments. Low steady-state air consumption contributes to efficient operation. Single-acting sliding-stem positioner which operates on an input signal of 4 to 20 mA. When furnished, gauges are triple scale psig/MPa/bar. The Fisher FIELDVUE DVC6200 instrument allows for your operation to run closer to setpoint, improving product quality with more accurate control. Using FIELDVUE Performance Diagnostics, valve operation is monitored online to evaluate performance and reliability. The high performance, linkage-less feedback system eliminates physical contact, which eliminates wearing on parts. Wafer style cageless level displacement sensor. Includes a wafer body suitable for bolting between ASME Class 150, 300 and 600 RF flanges. Fitted with either a Pneumatic Controller – 2500, or Electro-Pneumatic controller (DLC). These sensors are designed to measure changes in liquid level, liquid interface level, or density/specific gravity inside a process vessel using Archimedes’ Principle. 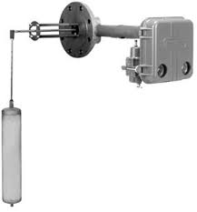 Fisher 249K’s are a caged level sensor providing more stable operation than do cageless sensors for vessels with internal obstructions or considerable internal turbulence. Designed for higher pressures. Fitted with either a Pneumatic Controller – 2500, or Electro-Pneumatic controller (DLC). 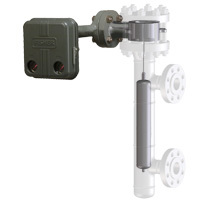 Side mounted cageless displacement level sensor for right hand mounting. Available in two configurations: a 4 inch raised face wafer body suitable for bolting between Class 125, 150, 300, 600, 900 & 1500 RF flanges; or a 4-inch buttweld connection available in Class 600, 1500 and 2500. 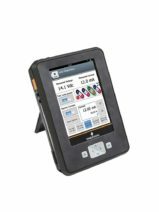 The AMS Trex Device Communicator delivers a modern user experience in a rugged, intrinsically safe package, providing the experience of consumer devices in a tool built to withstand harsh industrial environments. The Trex communicator streamlines activities in the field, allowing technicians to isolate and repair problems while devices continue to run.